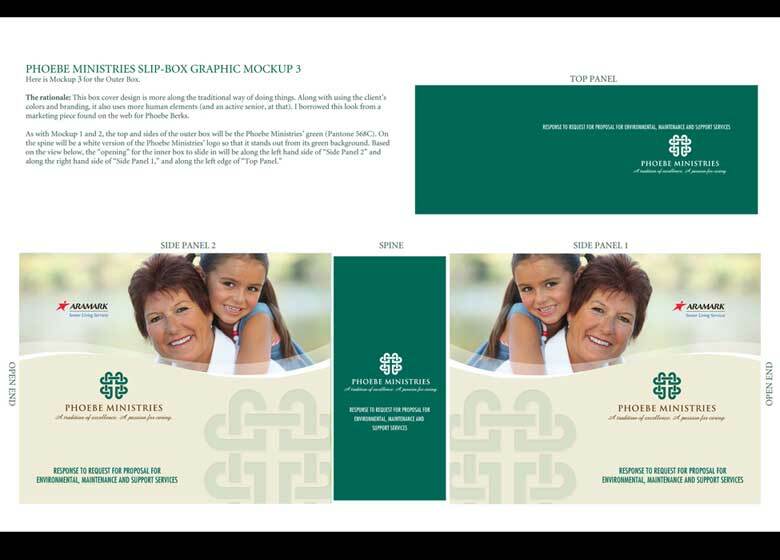 When a client is indecisive and asks for a few design options, it's your job to be able to articulate to that client why you went with a particular layout, including branding, font set, color chips, or visual style. 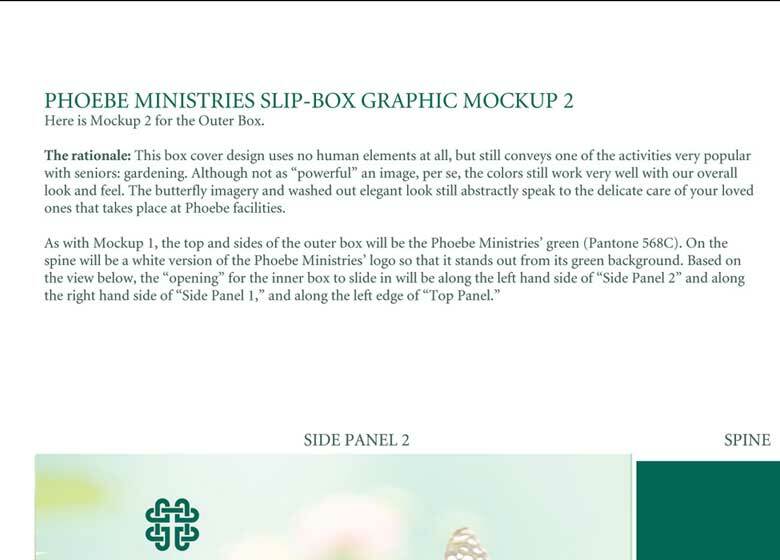 These mockups were created in Photoshop. 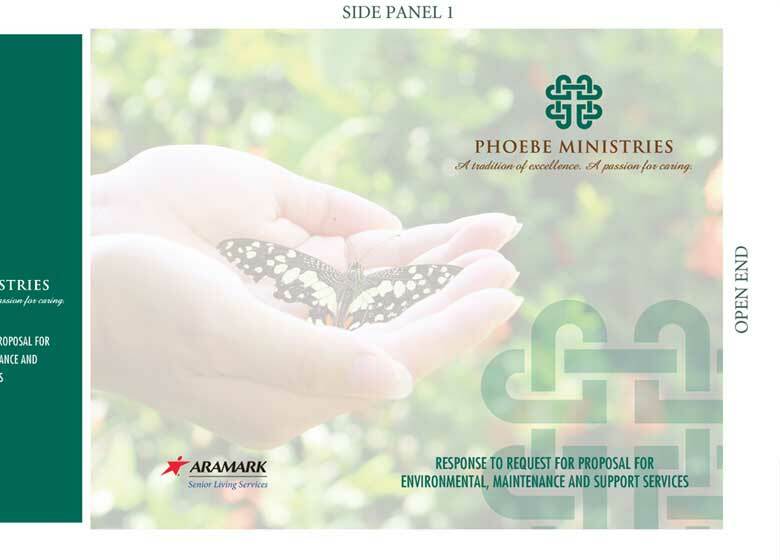 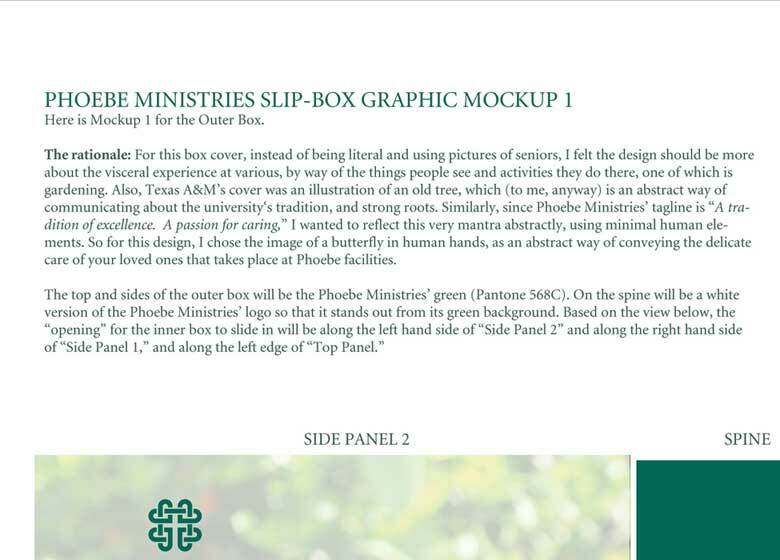 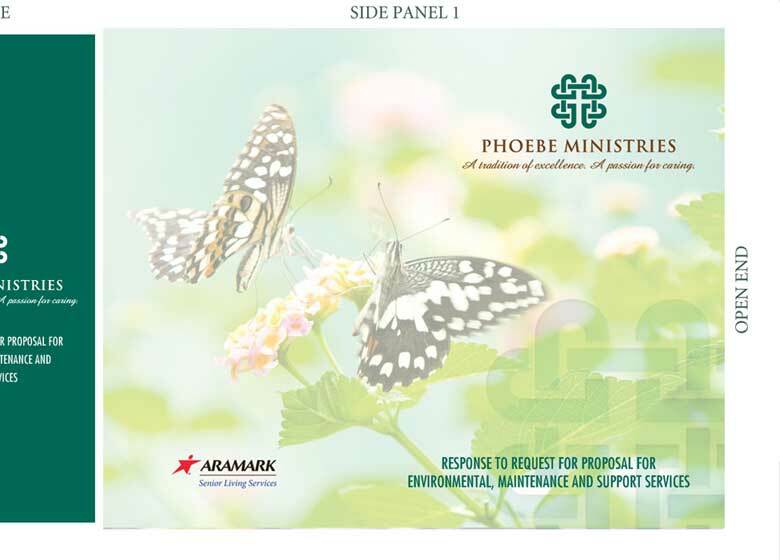 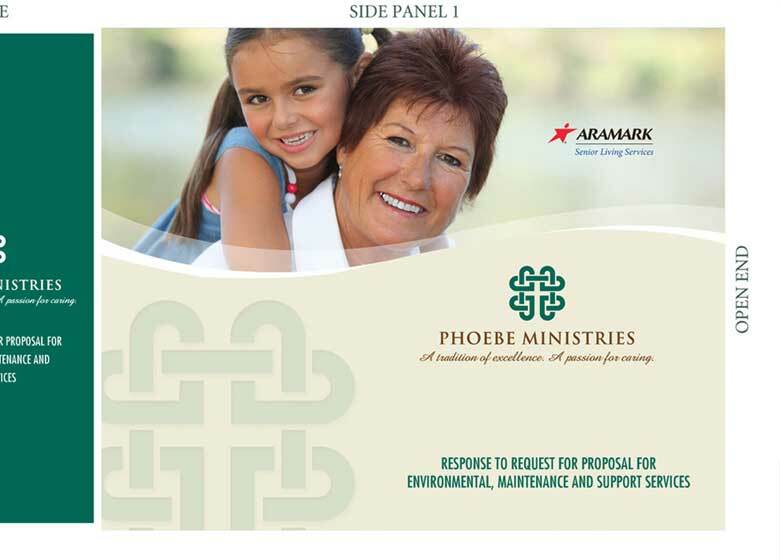 Per the design rationale on Screen 1, I went with a gardening and butterfly theme to convey the kind of care Phoebe Ministries (a multi-site Senior Living community with Pennsylvania headquarters) provides. 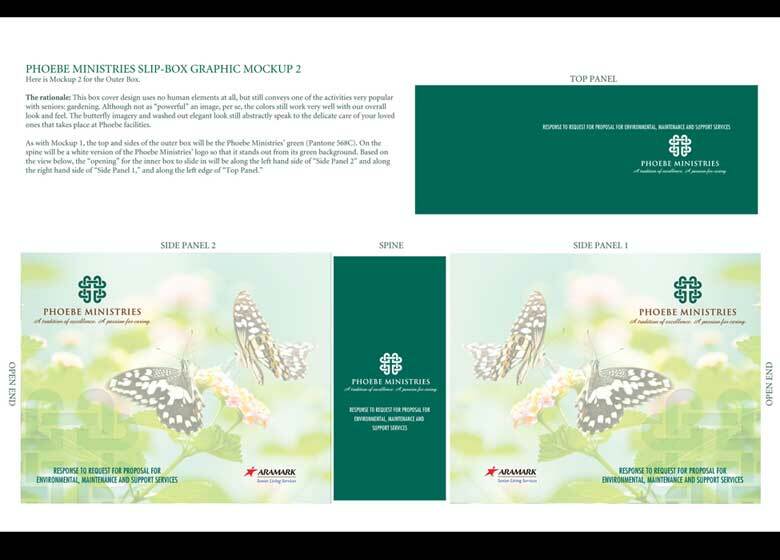 The second trio of images is essentially the same as Mockup 1, but with a different image the client wanted to try. 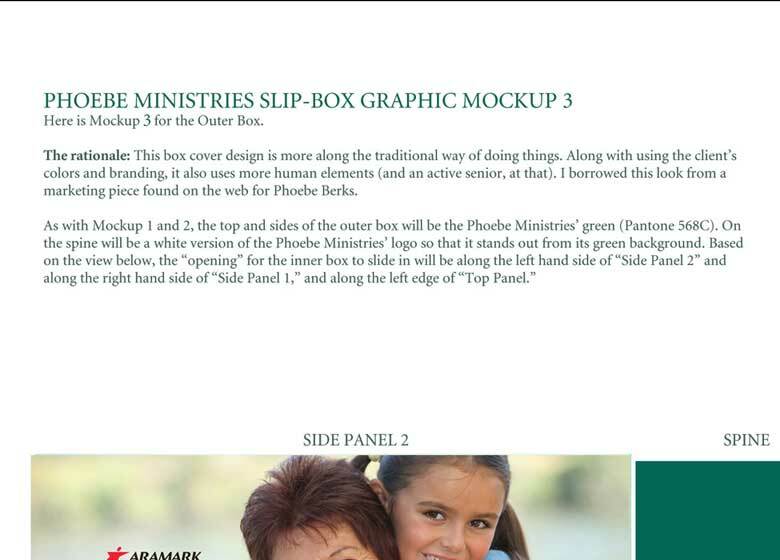 For Mockup 3, I played it a little more safe, and went with a non-ethereal, more "corporate" look for senior living. 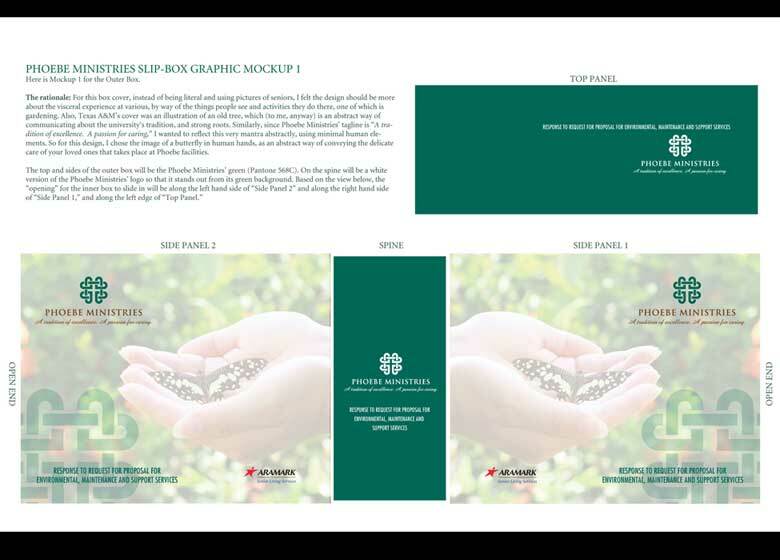 This is the design the client ultimately settled on and thus was the one produced for the proposal.